New officers and Council (board) members of Writers Unit #30 assumed office today. After serving eight years, Peter Martin has stepped down as President and has been succeeded by Ken Trettin. Trettin formerly served as Vice President-West. David Crotty, editor of The Philatelic Communicator, steps in as Vice President-West. Lloyd de Vries will continue to serve as Vice-President-East and George Griffenhagen will remain as Secretary-Treasurer. New Council members are Foster Miller (who joined the board in late 2010), Dan Warren and former Writers Unit President Dane Claussen. Peter Martin will assume the role of Immediate Past President. Council members Gene Fricks, David Kent and Bob Odenweller will continue on the board since their terms do not expire until 2013. The newly elected board was installed at the conclusion of the Writers Unit breakfast at StampShow 2011. The APS Writer’s Unit #30 has selected four philatelic writers and publishers for induction into the Writers Hall of Fame at StampShow in Columbus OH. These are Kees Adema, Fred F. Gregory, Alfred F. “Al” Kugel and the late Jacques Minkus. Kees Adema, a former hotel owner and manager residing in Fairfield, Connecticut, has become known as a foremost student of the postal history of the Netherlands. His early book The First Postage Dues, Holland’s 3S Markings 1667-1811 is now the definitive study and catalog of these early Dutch handstamps. A major work in three volumes, Netherlands Mail in Times of Turmoil, published by the Stuart Rossiter Trust, has received very high acclaim, with the concluding third volume covering 1815 to 1839 due out in the late part of 2011. Dozens of his articles on various subjects have appeared in the Collectors Club Philatelist, with many reprinted in Dutch, French and German. These include such varied subjects as: “Napoleon’s Russian Campaign and Fieldpost to Holland from the Second Grande Armée”; “Letters from a Huguenot Galley Slave 1692-1705”; “French Fieldpost from Invaded Holland: 1747-1748”; “Thurn und Taxis: The Mail Route to Italy from the Dutch Republic in the Eighteenth Century”; and “Thurn und Taxis: The Origins of Modern Postal Services: The Netherlands-Italy Route c.1500 to 1700.” The latter received the Collectors Club Philatelist Medal in 2008. A fellow of the RPSL, he received their Lee medal for the best paper of 2009, and in the following year he signed the Roll of Distinguished Philatelists. He has received major overseas awards for research, which include the Professor van der Willigen award (2003), the Edwin Koenig Medal (2006, awarded only once every five years to the author of a philatelic publication with the most original research), the Guardian of the Treasure (Netherlands, 2006), and the Carlrichard Bruhl award (2003). Closer to home, he has served philatelic organization in key positions, including as governor of the Collectors Club of New York and as president of American Society for Netherlands Philately (1997 to 2006). Fred F. Gregory, of Palos Verdes Estates, California, created a collaborative research website, Post Office in Paradise, to study and portray the stamps and postal history of 19th century Hawaii. In an age when more people are using the Internet as their first source to access information, a few computer-savvy individuals are leading the way for other philatelists in providing accurate, detailed information about stamps and the history surrounding them. The Post Office in Paradise website is one such effort that has risen to the top and serves as a model for what can be done. Approximately 450 “unique visitors” and 5,900 “hits” are attracted to the site daily. Feedback from participants yields significant new information. Numerous new collectors of Hawaiian stamps and postal history have credited the site with sparking their interest in the field, and proving that technology can enhance the stamp collecting experience. 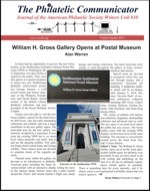 In addition to this well-respected website, Gregory has published articles about Hawaiian stamps and postal history, including: “2¢ Ship Fee On Mail From Hawaii Via San Francisco, 1849-1852,” in collaboration with Steven Walske; “Hawaii's First Post Office”; “San Francisco FOREIGN handstamp of 1864,” in collaboration with Dale Forster, published in The Collectors Club Philatelist, selected as most popular article, 2006; “Circumstantial Evidence Can Help Authenticate One-of-a-Kind Items”; published by the Philatelic Foundation, Opinions VII; Fakes Forgeries Experts, No, 9; “Pigs With Wings, Jean de Sperati's Adventures With Hawaiians”; “San Francisco Clamshell 6 Marking Revisited – New Book Ends”; “Hawaii – Double Overprints of the 1893 Provisional Government Issue”; “A Gold Rush Letter from Oahu”; “Honolulu Barred Ovals”; “Overprinted Stamp Issues of the Provisional Government of Hawaii, Scott Nos. 53-73”; and “A Rare Honolulu Cancel on the Australia Mail.” He has been commissioned by the Philatelic Foundation to write “Post Office in Paradise,” a multi-volume text about Hawaiian stamps and postal history. Alfred F. “Al” Kugel, a semi-retired financial analyst and economic forecaster, resides in Hinsdale, IL. He has focused on military postal history and studied its literature. Kugel has written more than 100 articles that have appeared in more than 30 periodicals including the Military Postal History Society Bulletin, American Philatelic Congress Book, Postal History Journal, Collectors Club Philatelist, Post Rider, Rossica, German Postal Specialist, News of Hungarian Philately, Vorläufer, Fil-Italia, American Philatelist and many others. His philatelic writing and his exhibits demonstrate an extraordinary knowledge of early 20th century conflicts including the Spanish-American War, World War I, the Boxer Uprising, the American Expeditionary Force, German possessions in Africa and the Pacific, and occupation forces in many theatres of operation around the globe. For his extensive efforts in researching, exhibiting, and writing about military postal history he received the APS Luff Award for Distinguished Philatelic Research in 2005. 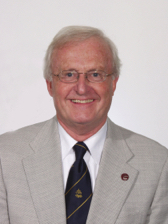 He is a Fellow of the Royal Philatelic Society London, has served as exhibits chair and show chairman of Chicagopex, held several offices including the presidency of the Military Postal History Society, and is an accredited philatelic judge. He has held leadership positions in the American Philatelic Congress, the Collectors Club of Chicago, and the Chicago Philatelic Society. Kugel served on several APS committees including CANEJ, finance, and ethics. He has been honored with the Saul Newbury award of the Collectors Club of Chicago and the McCoy award of the American Philatelic Congress. Kugel also served on the research committee of the National Postal Museum’s Council of Philatelists. Minkus sensed that collectors needed better quality albums, and using his family interest in publishing he created a new line of albums that brought more collectors into the hobby, eventually publishing more than 100 different albums. That led him to create his own unique line of stamp catalogues, offering a new view of how to organize stamps for the collector. His New American Stamp Catalog first appeared in 1953, followed in 1955 by the Minkus New World Wide Stamp Catalog. The Minkus philatelic empire also included a regularly issued stamp journal. As World War II broke out, he began publishing patriotic stationery. He sold his business in 1966. In 1966 the American Stamp Dealers Association presented Minkus with its Service to Philately Award. He received the Luff Award in 1993 for Exceptional Contributions to Philately and in 1997 he was elected to the American Philatelic Society Hall of Fame. Writers Unit #30 has updated its bylaws effective as of July 27, 2011. Click here to download a copy of the newly revised bylaws. One of former Scott Catalogue editor James Kloetzel's last duties as a full-time Amos Hobby Publishing employee will be to speak at the APS Writers Unit #30 breakfast at StampShow 2011, August 14, in Columbus, Ohio. Kloetzel joined Scott Publishing, a division of what is now Amos Hobby Publishing 17 years ago as its U.S. and Canada editor. He eventually became overall editor of the catalogues, but after his final day as an Amos staffer August 19, he will return to handling the valuing just for the U.S. and Canada, as a contractor. Basically, he said in making the announcement at the NAPEX stamp show in McLean, Va., on June 4, he's come full circle. He'll get to do the parts of the job he enjoys best, and is giving the rest to Snee. 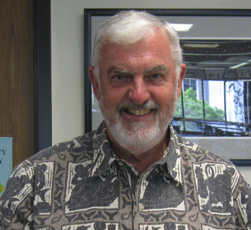 Kloetzel retired as overall editor in early June, and was succeeded by Charles Snee. He will talk to philatelic writers and editors at the WU30 breakfast about his experiences editing the dominant stamp collecting catalogues in the U.S. The American Philatelic Society Writers Unit #30 is open to all stamp collecting writers, columnists, editors, publishers and others interested in philatelic communication. It publishes a quarterly journal, The Philatelic Communicator, helps support literature competitions, and sponsors the Literature Grand Award at StampShow each year. The breakfast will begin at 8:30 a.m. on Sunday, August 14, in the Franklin C Room of the Hyatt Regency Hotel. Tickets are $30 ($25 if purchased before July 20), and reservations may be made on the APS website. This event is open to both members and non-members.